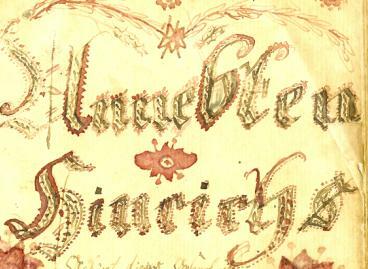 This is part of the inscription in a book that Trientje Eilts Post (1808-1877) made for her daughter Annebken Hinrichs. The book was given to Annebken in 1851 when the family was living in Holtrop, Ostfriesland, Germany. The book is in the possession of a family member who graciously scanned the document and shared it with me. This is only a part of the inscription. There is a short verse and a date as well. ← Will the Library Use it? Will the Library Keep and Maintain It?